According to the post, the image came from Google's issue tracker, a notorious source of accidental leaks. The issue has since been hidden, but Caschys managed to keep the screenshot above, showing what is probably the new Ultraviolet layout. You may notice the bug icon in the lower left corner. 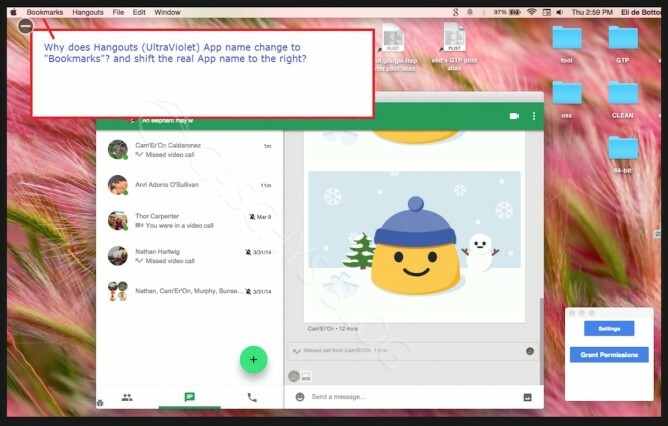 The interface shown in the screenshot has two panes, one for all conversations, and one for an individual conversation, along with a FAB for creating new messages. The tabs for contacts, messages, and calling have meanwhile moved to the bottom of the conversation list. We can't be sure when or if this layout will become final (I/O is right around the corner) but it's undoubtedly a sight for sore eyes, and lends some hope that the Android app might get similar attention in the future.